Since the flooding started, I’ve been going to the Nebraska communities hit hardest – not just to understand the damage, but to talk with and serve those who need help. Along with Governor Ricketts, who has led a strong state response to the flooding, I spent time with the National Guard along the Spencer Dam. I’ve visited washed-out communities, such as Niobrara and Lynch, and served in shelters in Fremont and Bellevue. I’ve helped efforts to get supplies into Ashland and to clean up along the Platte. 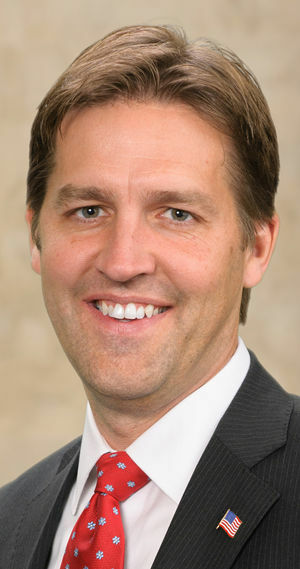 Ben Sasse is a United States Senator from Nebraska. He can be reached in Washington D.C. at 136 Russell Senate Office Building, Washington, DC, 20510 (202-224-4224); in Omaha at 304 North 168th Circle, Suite 213, Omaha, NE 68118 (402-550-8040).